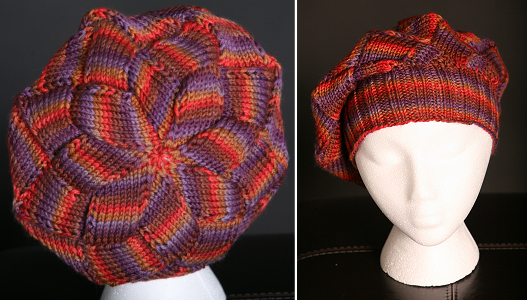 This is a hat knitted using the Entrelac technique. Worked in the round with US #8 needles and one skein of Brooks Farm Solana, a worsted weight superwash wool with amazing color and softness. Fits most adults.